A classic stripe pattern is an easy coordinate to a variety of bedrooms with a simple print and pleated texture. The base cloth is a solid white 100% microfiber Truly Soft fabric with the special double brushing and finish with the medium scale stripe print in fashion colors. 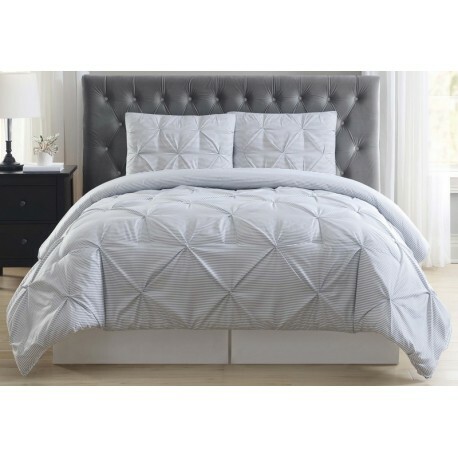 Duvet and shams pleated for additional surface texture. Duvet and sham are machine washable, but care must be taken to use proper size equipment for washing and drying to assure the bulk of the item does not cause any undue wear on the face of the items.